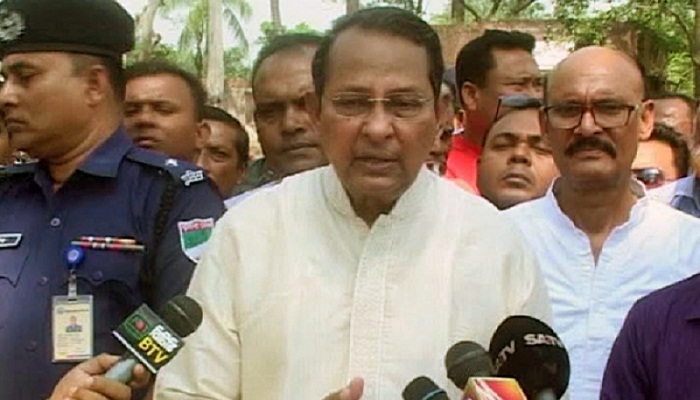 Information Minister Hasanul Haq Inu said on Wednesday that finally it had been proved that Dr Kamal was not the head of BNP, Jamaat but its tail. He said this while talking to journalists before speaking a meeting of elites at Talbaria school field in Kushtia. The minister said that the opposition unity that had been formed recently was not a unity but a conspiracy to put BNP back into power, which means, once gain leasing the country out to militants and war criminals. Referring to the trial of the 21st August grenade attack, he said there was no problem while the litigation was on for the last 14 years and over a hundred witnesses were examined but now that the verdict was pronounced and suddenly Dr. Kamal and Co. had discovered that this was a politically motivated law suit.